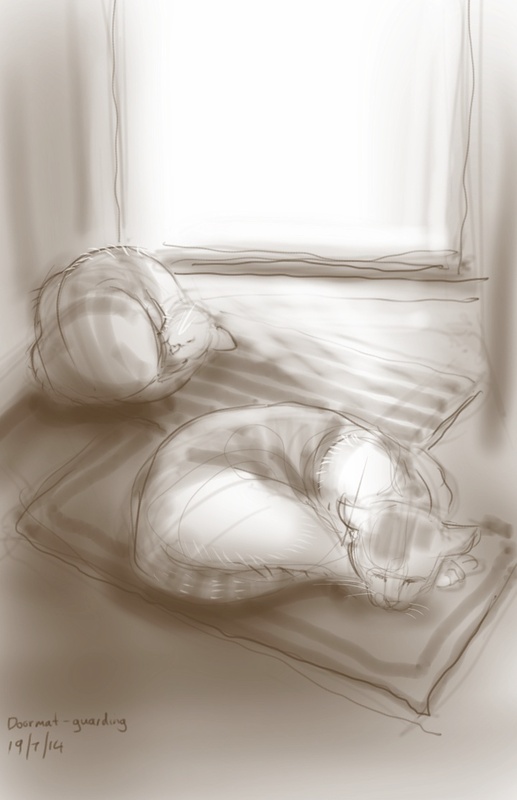 This entry was posted in Cats and tagged art, arthur cat, cat sleeping, cat-of-the-day, digital sketch, drawing, illustration, life drawing, Percy Cat, phone sketch on July 19, 2014 by Nancy Farmer. The weather was apocalyptic at about 5.30 this morning and I think they’re not prepared to risk it coming back. Perhaps your Mother’s cats had the same weather!